Originally published by Brandon McDermott, KVNO News. The Support Blue campaign started in Omaha following the murder of two New York City police officers in December of 2014. Investigators said the execution style killings were in revenge of the Eric Garner death at the hands of NYC police earlier in the year. The Support Blue campaign (#SupportBlue) was started by First Responders Foundation and spearheaded by Bridget Fitzpatrick to show support for law enforcement. 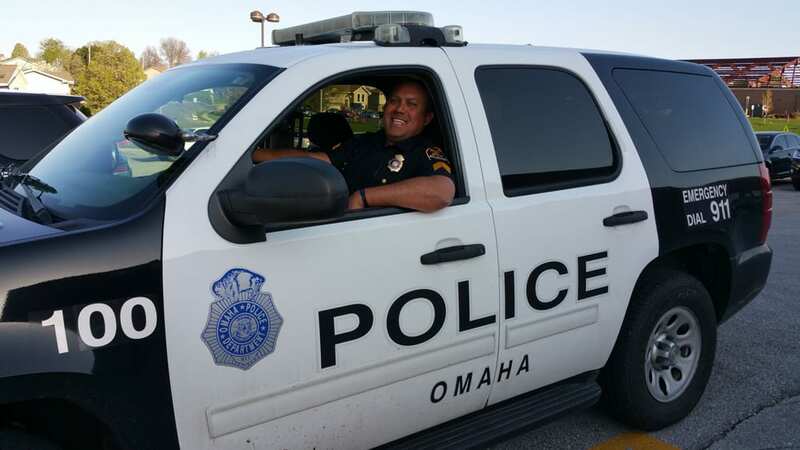 Fitzpatrick is the social media coordinator for the Omaha Police Department. The civil unrest around the country in 2014 stemming from shooting deaths of unarmed citizens also played into the formation of #SupportBlue, according to Fitzpatrick. 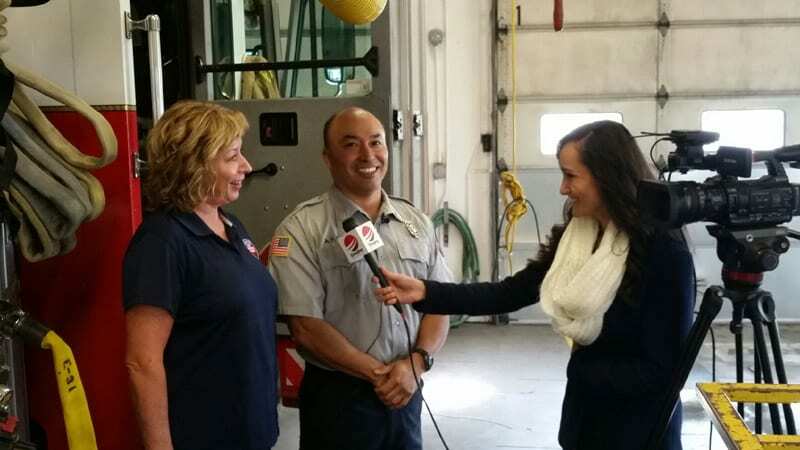 Fitzpatrick and the First Responders Foundation asked local businesses to put up ‘Support Blue’ stickers in their store fronts and had people take pictures with police to post to social media, to increase awareness of how important law enforcement is in our community. Fitzpatrick says the tragic shooting death of Officer Kerrie Orozco in May of this year helped bring the Omaha community together. John Crank is a professor of criminal justice at the University of Nebraska at Omaha. Crank says the death of Officer Orozco sent a shock-wave throughout Omaha. “That was a rough thing to go through and it hurt the community and generated a lot of pain,” Crank says. He says organizers of #SupportBlue are reaching out to an existing community to strengthen binds, so to speak. John Crank says most police officers misjudge how they are viewed. Crank says we all know police officers are there to serve and protect; to provide security for citizens and thereby improving the quality of life. But is a push to further display supporting the police causing a division in Omaha? Fitzpatrick doesn’t think so. Professor Crank said police deaths have slowly declined since 2001 when 242 officers died in the line of duty. In 2005 that figure dropped to 166 and this year there have been 103 police deaths through October 29. While #SupportBlue is rallying people already prone to support law enforcement, officers know the real way to make a change is by meeting and having a relationship with the people they protect. Events like last week’s OPD sponsored ‘Cops and Bobbers’ event at Benson Park in Omaha, play an important role in that relationship. Police officers helped show kids from 5-17 how to fish first hand and offered a free lunch. It’s a small step, Crank says, but it lets people in the community know it’s okay to support the men and women in Blue.